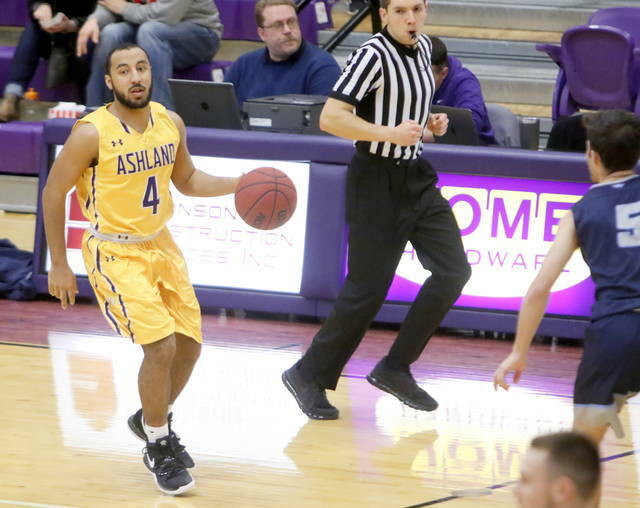 Wilmington High School graduate Dylan Beaugard (4) is enjoying success on and off the basketball court in his first year at Ashland University. 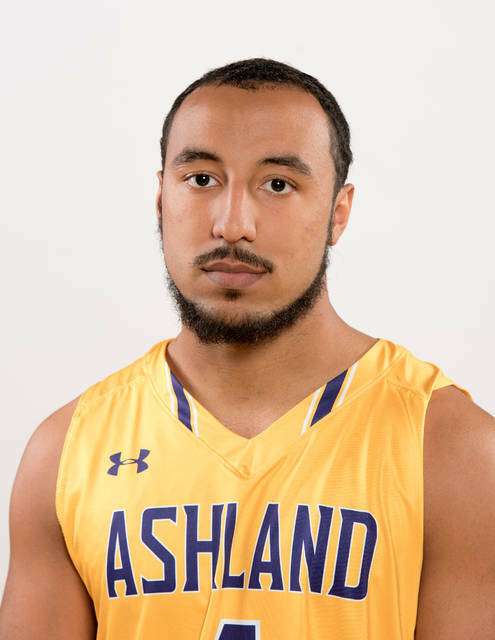 Beaugard made the Dean’s List for the Fall Semester at Ashland with a grade point average of 3.5 or higher. He is majoring in Cyber Security. On the basketball court for the Division II nationally-ranked Eagles, Beaugard has played in 10 games. He has 13 assists and only two turnovers while garnering four steals. Ashland recently had a 13-game win streak stopped. The Eagles were ranked in the top 10 in both the National Association of Basketball Coaches poll and the Division II Sports Information Directors poll. They are 14-1 on the season and 7-1 in the Great Lakes Intercollegiate Athletic Association.